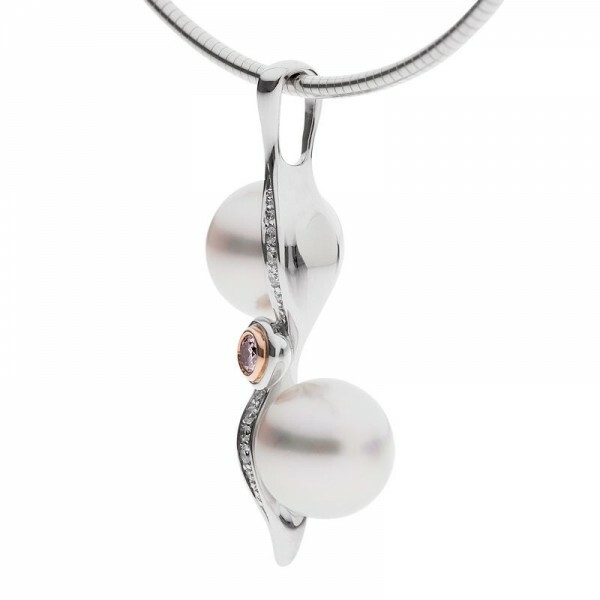 An incredible Argyle pink diamond is central to this pendant of gentle curves which trail away in fine arcs of white diamonds. 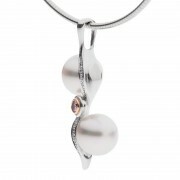 It also hosts two perfectly round South Sea pearls and looks elegant and striking suspended from any style of chain. 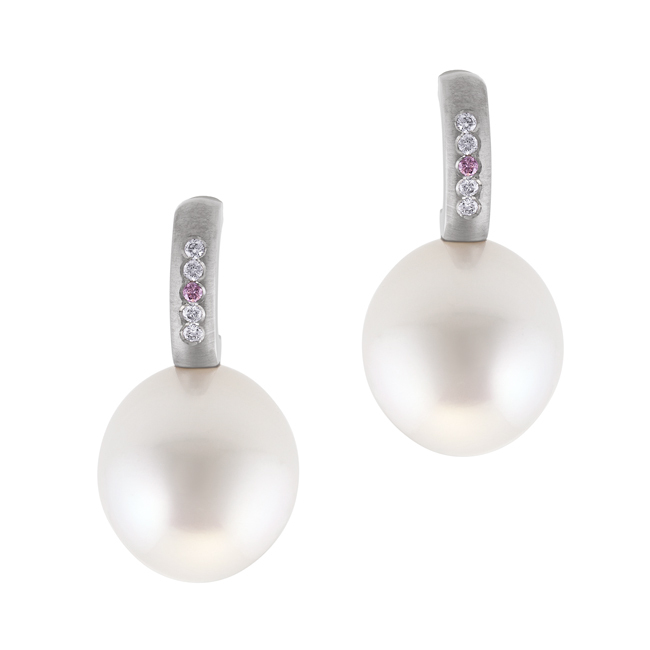 The perfect balance of a pink Argyle diamond and crisp white South Sea pearls creates a stunning finish in this creative design. 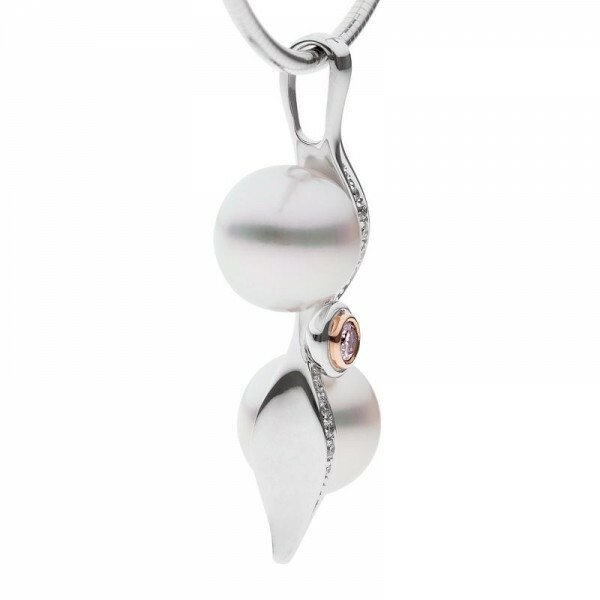 Shop now for a stunning gift to last a lifetime.